American journalist contracts Ebola in Liberia working for NBC. 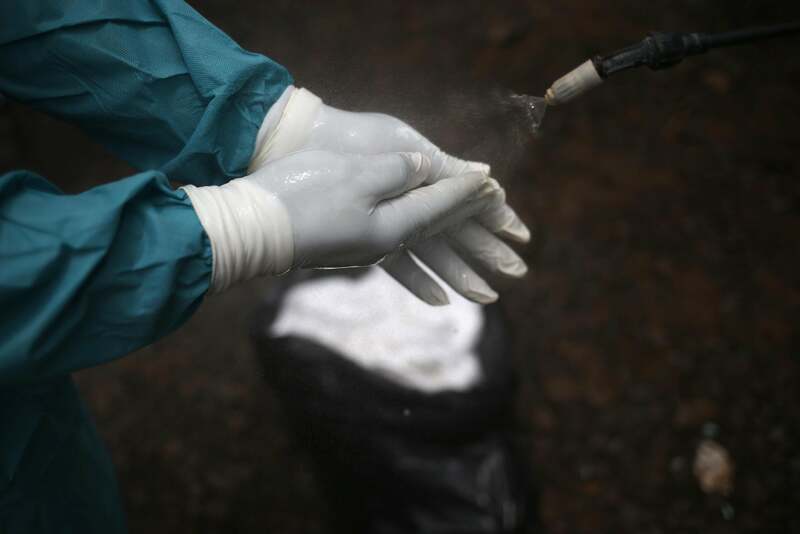 A member of a burial team after collecting the body of an Ebola victim. Update: Oct. 3, 2014: NBC News identifies the journalist as Ashoka Mukpo. Original Post: An American freelance journalist working for NBC News in Liberia has tested positive for Ebola and will be flown back to the U.S. for treatment, the network announced Thursday. The 33-year-old male, who has been working in Liberia for the past three years for a variety of media outlets, was hired Tuesday as a cameraman for NBC’s medical editor and correspondent reporting on the outbreak. The freelancer came down with symptoms on Wednesday, feeling tired and achy. As part of a routine temperature check, he discovered he was running a slight fever. He immediately quarantined himself and sought medical advice. On Thursday morning, the 33 year-old American went to a Medecins Sans Frontieres (MSF) treatment center to be tested for the virus. The positive result came back just under 12 hours later. The journalist is the fourth American to contract Ebola in West Africa. The previous three were all brought back to the U.S. and successfully treated for the virus. The next question to be answered will be the extent of his contact with the two other NBC employees during the reporting trip. “The rest of the crew, including [correspondent] Dr. Nancy [Snyderman], are being closely monitored and show no symptoms or warning signs. However, in an abundance of caution, we will fly them back on a private charter flight and then they will place themselves under quarantine in the United States for 21 days – which is at the most conservative end of the spectrum of medical guidance,” NBC News President Deborah Turness said in a note to staff.